As the computer-Internet revolution continues its transition to the smartphone, researchers at the UW–Madison College of Agricultural and Life Sciences, the School of Veterinary Medicine and the Division of Extension continue to develop apps that record and process data in the barn or on the tractor. The apps streamline the acquisition and processing of data, and even help make diagnoses and decisions on the fly. It’s no accident that CALS is taking the lead in a continuing stream of apps, says William Barker, associate dean for research and graduate programs at CALS. A screenshot of the Sporecaster app. Most apps are available for Apple (iOS) and Android (Google) phones and tablets; a few also “know” Spanish. Sporecaster is a tool that indicates whether a fungicide application is needed to control white mold in soybean. If so, a companion app, called Spore Buster, instantly compares 10 treatment plans to determine their average net gain and breakeven probability, based on research results. 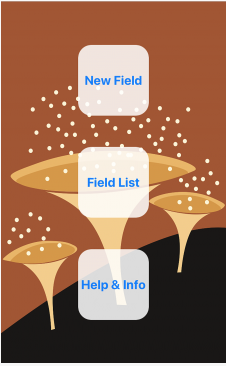 A screen shot of the IPM Toolkit app. 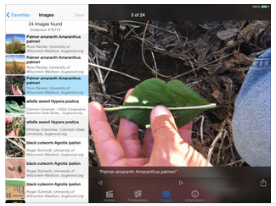 search the app’s online database for photos related to soybean aphids and scouting. How well did Jimmy crack corn? Corn kernels are enveloped in a tough outer layer that must be “cracked” to expose the nutritious starch inside. 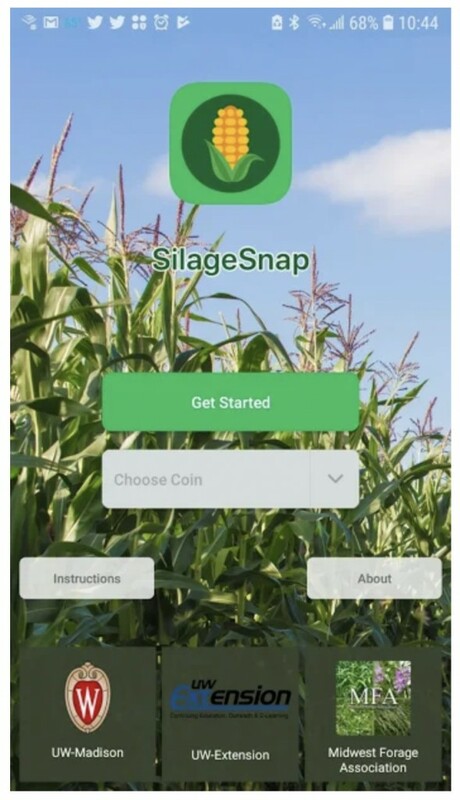 The Silage Snap app uses a phone’s camera to gauge whether harvesting or processing machinery is cracking corn enough for maximum feeding efficiency. By allowing immediate equipment adjustment, the farmer can maximize energy gains and milk production. Manure Tracker records manure applications to particular fields. Data inputs include field name and area, GPS location, spreader capacity, manure type, and application method (surface applied, incorporated or injected). The app calculates manure nutrient credits for the field. All data can be emailed to a server for efficient record management. The Manure/Legume Credits app allows farmers to save money and protect the environment by calculating the fertilizer value of manure and legume crops. The goal is to reduce expenses for fertilizer and avoid over-application. The app calculates the plant-available nitrogen (N), phosphorus (P2O5), potassium (K2O), and sulfur (S) nutrient credits. The output measures the fertilizer value of manure from various livestock species applied to cropland. The app also calculates the nitrogen available to crops planted following such forage legumes as alfalfa. A screenshot of the Locomotion Scorer app. The Dairyland Initiative at the School of Veterinary Medicine hosts a suite of apps for dairy health and productivity. The Locomotion Scorer deals with lameness in dairy cows, and “speaks” English, Spanish and German. 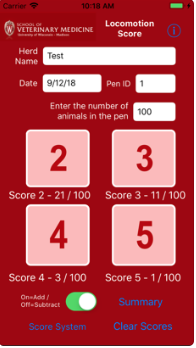 The Body Condition Scorer uses a graphical interface to score attributes of cattle, including herd name, scorer name, score date, pen ID, cow ID, lactation and other parameters. (For iOS only). The Group Pen Respiratory Scorer evaluates symptoms of respiratory distress for pens of young livestock. Based on the number of affected animals and number of symptoms, pens can be identified for follow-up treatment. (For iOS only).